The first EP Competition is open! We’re taking short story entries from today through May 15th. There are two age divisions 8 – 12, 13 – 17, unless we get enough great entries, I’ll divide it up more and hand out more prizes! Please share with your homeschool communities! It will be more meaningful the more entries we have. Registration is open to homeschooled students, but they don’t have to be using EP. Right now I have chosen three competitions: science, history, writing. There’s a cost to enter because I want quality submissions and I want to offer prizes! They will be held throughout the year. The dates for submissions are on the EP Competition page, found under the About in the menu. The first up is the spring competition, short stories. In the fall, there will be a science fair. In the winter, it will be history, where you will make a video on your topic. Start brainstorming! And share the news! It will be better the more we have involved. It’s for homeschoolers ages 8 – 17. In one week I’ll start accepting short story submissions for our first EP competition. Submissions will be accepted from April 15th to May 15th and can be made by any homeschool student, so spread the word! I’m planning cash prizes for eight winners. Details are on the site. Thanks to everyone who helps EP grow by just loving it and sharing the love. Thank you to my faithful helpers who are there for me and for everyone using EP day in and day out. This couldn’t happen without you! Thank you to everyone who has donated to EP this year, those who gave one-time gifts, and those who support our ministry here with monthly donations. You cover EP’s costs and keep this running. Everyone appreciates your giving whether they know it or not! We may be different than some families, as we use your curriculum over any other, not because it is free, but because it is more thorough, motivating, fun, and ADVANCED than any other big box curriculum we could buy. I’ve had such great success teaching my kids to read using GC and EP! I am a teacher as well, and have taught probably 100 kids to read, and used many different curricula, but this, by far, is the simplest to use and most effective curricula I have come across. What a blessing this curriculum has been for my family! The excellence with which you have put together the daily lessons makes it one of the very best I have ever seen. Educationally, your curriculum is sound and very rigorous, while at the same time attainable for all children. 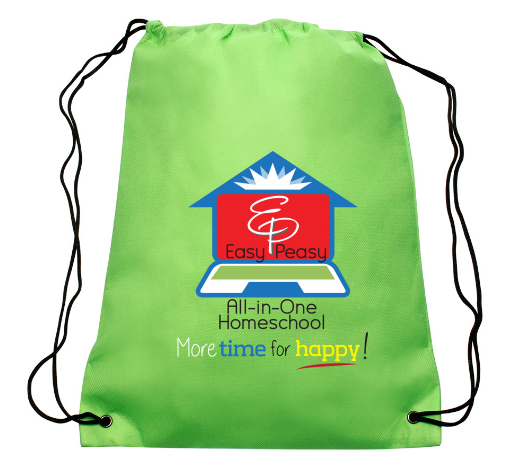 Easy Peasy All-in-one High School has made what seemed impossible, possible! As a bonus, my kid has aced all of her subjects, something she always struggled with in private school. Thank you! I had someone write and ask if we still needed money. We have received seven cards in the mail so far, so yes! I added to the bottom of the My EP Assignments page to show how much we’ve received. I’ve also added a new video that’s eleven minutes long. It’s me talking you through how it works. Hopefully it shows you some more. Over the coming months I’ll make lots of little 30 second videos to show the how-to for each little thing. One thing I wish I had said, the “random” music is random among the choices I uploaded. They are instrumental pieces of varying genres. For those of you whose high school students want to grow the professional skills they need to pursue their dreams while being a part of a supportive community of peers and mentors who want to see them succeed at the highest level, this is the last week to apply to Hire Cause. The deadline for applications is this Friday, 12/7. YOU NEED TO APPLY BEFORE THE DEADLINE TO GET THE CRAZY-GOOD DEAL FOR EASY PEASY USERS. Here at the Easy Peasy community, we are excited to see the impact your children will have on others as well as the progress they will make towards their dreams. Make sure to write Easy Peasy on the last line of the application. EP users are getting 60% off for this first trial of our users being involved with the program. Please watch the video and head to the link. I hope you’ll understand what a big deal this is for me. And I hope it’s a big deal for you too! If you missed it, I had a very interesting interview with the founder of Hire Cause, David Dvorkin, on the 4 professional skills that employers recently ranked as most desirable in employees. But really, I see them as skills everyone should be working on developing. Here’s a video of the interview if you want to check it out. He discussed why these skills cannot be learned in any classroom and why managers are too busy to teach these skills in any internship. We also discuss why these skills are even more important if your children dream to maybe work for themselves one day. Lastly, we discuss how the essential key to developing these professional skills is to be surrounded by a supportive community of peers and mentors who are on the same journey. When your children are working alongside others who want to see them succeed and make a difference in their community at the highest level, this is where the magic happens in helping them pursue their dreams. If your children want to apply to Hire Cause, just a reminder that the deadline for applications is next Friday, 12/7. If your children are interested in a fun way to develop the professional skills they need while positively impacting others in their community, then I hope they’ll consider Hire Cause. Special Note: You must apply BEFORE December 7th to get the better price for the Hire Cause program. The price of the program is $1,250, but the introductory rate is $500, just for EP! You’ll use the promo code “Easy Peasy” on the last line on the application. If that’s still too much, there are need-based scholarships available.